Playtech is an online gaming software company that was founded in 1999 and listed on the London Stock Exchange in 2006. 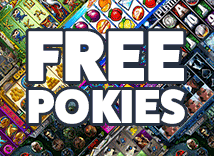 The company has released an impressive range of pokies including games based on big TV shows and movies. Top progressive games from Playtech are Beach Life, Spamalot and the Marvel Jackpot games. * The jackpot values are listed in credits for non progressive games and Dollars for games with progressive jackpots. Credit values are the highest possible win per spin while playing max credits (For example 10 credits per line at 1 cent per credit). ^ Bet levels on these games varies based on the currency you play in. The base level displayed is the US Dollar value.